Christine Rafe is an experienced psychotherapist, with Master's level qualifications and training in sexuality and sexual functioning from the University of Sydney. Christine’s formal training as well as clinical experience offers her clients synergy between psychotherapy, education, and techniques training to increase personal satisfaction and confidence, as well as improve intimate relationships. Christine has a holistic view of overall wellbeing, and can see that intimate relationships, sexual enjoyment and sexual expression are foundational parts of overall wellbeing. Not only is Christine specialised in sexual functioning and satisfaction, but her experience in general counselling and psychotherapy allow her to acknowledge and consider the interplay of sexuality into all domains of life. 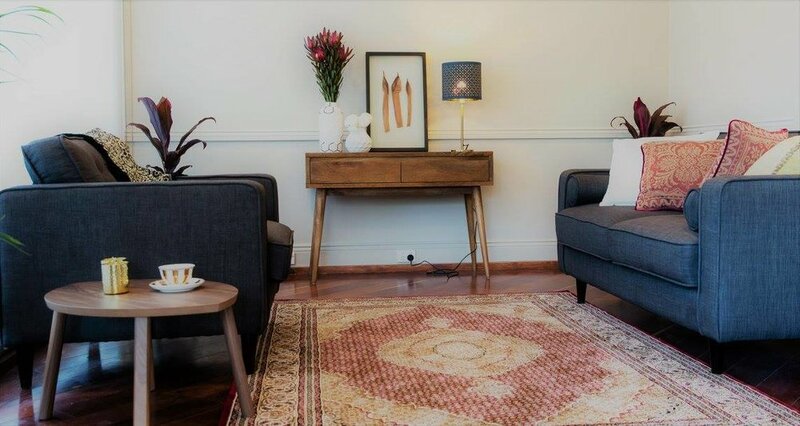 No topic is off-limits in the safe-space of Good Vibes Clinic, and Christine’s knowledge and understanding of a range of psychological, emotional and physiological issues ensure her clients receive value-for-money services unique to their individuals or partnership needs. Your experience at Good Vibes Clinic is focused on achieving goals that are personal to you. It will focus on the development of an individualised plan incorporating physical, psychological, relational and lifestyle interventions to increase overall wellbeing. Sessions are suitable for individuals as well as partners, and aim to increase your level of intimacy, sexual satisfaction and wellbeing, individually and in a partnership. It offers effective, proven psychotherapy, education and interventions relating to sexuality, sexual functioning, body confidence and intimacy. Christine is a client-centred therapist, and the experience is focused on you, considering what you hope to achieve by the end of the session (or sessions). It is recommended you come prepared with some ideas for what you want to get out of your experience at Good Vibes Clinic, as it will help us to use your time most effectively. If you aren't really sure what your goals are, that's okay too! During your first visit, there will be an overview of your life, your priorities, concerns, fears and ideals. With this information, we are usually unable to uncover the goals of psychotherapy. If you are attending as a couple, it is always helpful to book a 90-minute or double-session to allow time to speak with you individually as well as together.If your partner is hesitant to come, book a regular appointment and this can be discussed during the session if necessary. Check out our various appointment options by clicking here. Your experience at Good Vibes Clinic will very likely be a combination of psychotherapy, education and skills training (whether it be communication skills, sexual or self-love skills). What your session looks like will depend on your goals for treatment. For individuals suffering from anxieties and previous trauma which may be holding you back, EMDR is considered a fast and effective therapy modality to support in processing of memories.